It’s Episode 69! You are probably expecting a short from Coach Joe on vasectomies, but E69 isn’t that at all. 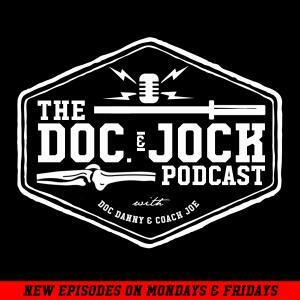 This episode isn’t about weightlifting, physical therapy or CrossFit, instead Doc Danny delivers a strong life message about making the most out of your time and doing what you love. Check it out, and get inspired! Don’t forget to let us know your thoughts on this subject or any of the others we talk about via an iTunes review or @docandjock tag on Instagram.